The Crazy Catch ® Wild Child Rebound Nets are used by the top athletes in Cricket, Football, Rugby, Hockey, Tennis and Badminton, testing and developing hand eye co-ordination. Nets: 1 Insane and 1 Sane side (Both small mesh). Side 1: Insane side - small mesh with unique net system to return balls in an erratic and unpredictable direction - suitable for most balls e.g. tennis, cricket, hockey, rugby, netball, football etc. Side 2: Sane side - small mesh with predictable ball return - suitable for most balls e.g. tennis, cricket, hockey, rugby, netball, football etc. Top quality heavy duty frame and components. Ideal size for indoor or outdoor use. Portable - convenient to take to the training ground, park or beach. 30% more rebound than the Upstart. Detachable frame allows it to be hand held for close up skills. 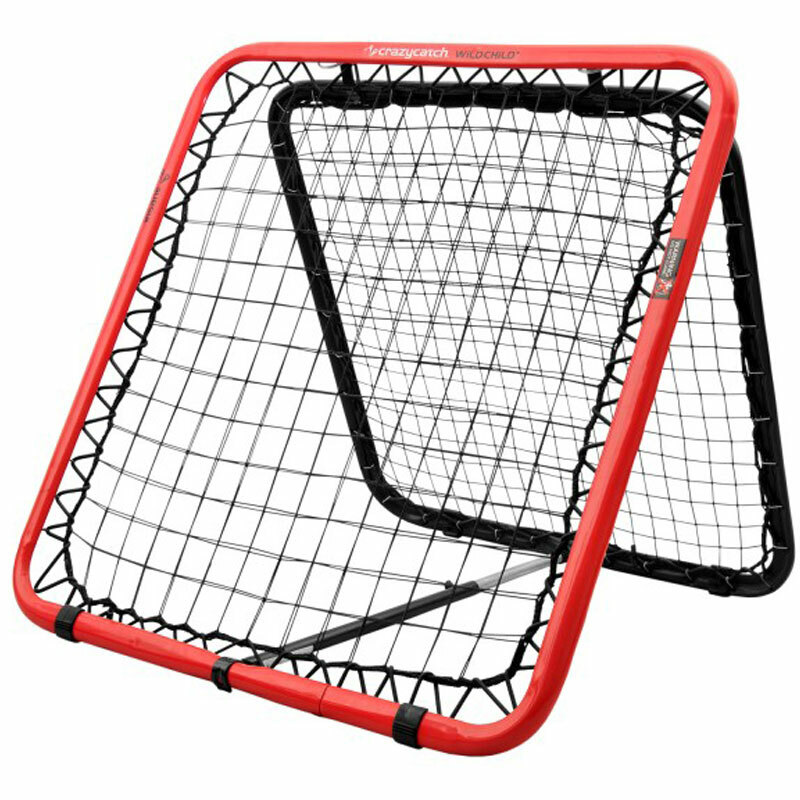 Crazy Catch Wildchild Classic Rebound Net. Crazy Catch ® level 1 Vision Ball. 5 out of 5 Greg E.
This is a well made proper sports aid. We take it to hockey goalkeeper training and for fun in the garden after school. Good decision Dad! Not for boys to use as a trampoline though. The Crazy Catch Wildchild is an excellent addition to the cricket clubs coaching kit. Everyone loves using it from the U9's to the seniors. The keepers have had the most use out of it during there training. Great item my netball mad daughters love it. Folds flat for storage and the crazy side really challenges the girls. This is an excellent product. It is being used for goalkeeping practice, normal side for warmup and insane side for reflex work. Definitely recommend it. Bought for 3 children aged 11, 8 and 6. It is excellent for all of them for each of their chosen sports and will remain so for the next few years. Football, cricket and netball. We were very pleased with the excellent service from Newitts and the competitive price.